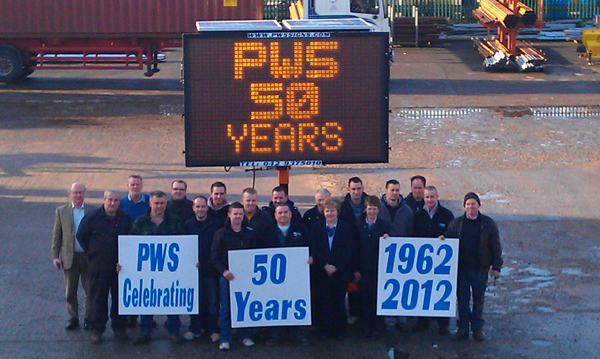 PWS Signs celebrate 50 years in business in 2012. It's been an exciting five decades and the company has undergone many changes since those early days in 1962! PWS has served customers in both public and private sectors across the traffic safety, traffic management and construction industries. Since 1962 our aim has been to deliver innovative, high quality signage and intelligent traffic management solutions for safer roads and reliable journey information. We trust PWS will continue to innovate and excel over the next 50 years!